If you are in your mid-teens or older, you most likely recall exactly where you were when the hijacked airliners struck the World Trade Center in New York City, pierced the Pentagon outside Washington, D.C., and nose-dived into a quiet field in Shanksville, Pennsylvania. The images of that horrific day can be suppressed, but they can’t be deleted. Now, if you are old enough to read this, you’ll certainly never forget images of a stoic President Obama announcing the violent death of Osama bin Laden, the mastermind behind September 11 and the world’s most wanted man, by a small group of our nation’s most elite special operators and intelligence professionals. I was the Army major and Delta Force commander who, almost a decade ago, was given the mission to hunt down bin Laden. In December 2001, I was at Tora Bora, the battle in Afghanistan where we came very close to getting the Al Qaeda leader, but he slipped from our grasp. At one point in the battle, according to intelligence we’d received, I may have come within 2,000 meters of bin Laden—a haunting memory. My post-Army line of work had me in the sack by 10 p.m. this Sunday, for a 3 a.m. drive to the airport. At 10:30 p.m., my wife woke me with news that the president was about to address the nation. “Huh? About what?” I mumbled as I rubbed my eyes. I tuned into Fox News and watched Geraldo speaking to retired Air Force three-star General Thomas McInerney about the possibility that Muammar Qaddafi may have been killed by a U.S. missile earlier that day. But that didn’t fit. I knew POTUS speaking late on a Sunday night meant it was something bigger. And what came to mind was the personal burden I’ve carried since we lost bin Laden at Tora Bora. We sat on the couch and listened again to Geraldo. Within five minutes, someone off-camera had put the bin Laden bug in Geraldo’s ear—and I think he knew the truth deep down and kicked himself for not seeing it earlier. Qaddafi was nothing to lose any sleep over. Certainly not for the president. I tried to hide the watery eyes from my wife as I thought about the nearly 3,000 innocent victims of September 11. I thought of their family members still dealing with the personal loss. I thought of the thousands of servicemen and women that have been killed or maimed since the War on Terror began with a daring Delta Force long-range helicopter raid on Taliban leader Mullah Mohammed Omar’s compound in November 2001. 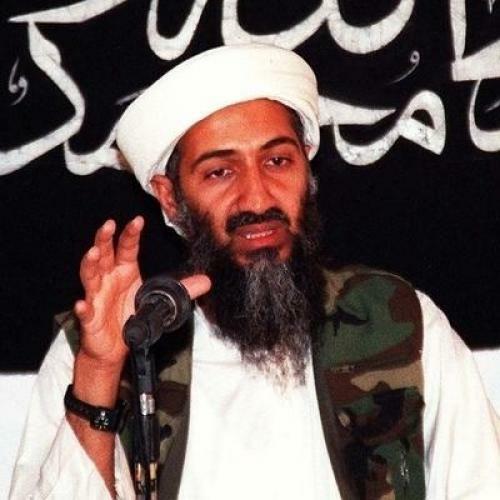 It was a month and a half later that we had bin Laden cornered high in the mountains of Tora Bora. He was given every opportunity to stand and fight to the death—to martyr himself and secure his place in Islamic extremist circles for eternity as a true representative of the Prophet Mohammed. After all, it’s what he had publicly said he desired. Instead, the leader of Al Qaeda called his followers to arms inside their mountain redoubt, while he turned tail and fled. But this weekend, nearly ten years after Tora Bora, as those brave Navy SEALS and CIA operatives closed to within hand-grenade range of him, bin Laden didn’t get away. He was soon dead, and, finally, what we started a decade ago was finished. As we sat on the couch watching the news of bin Laden’s death break, my wife saw my eyes. “Tears of pain or tears of joy?” she asked. Dalton Fury is the pen name of the Delta Force commander at Tora Bora and author of the memoir Kill Bin Laden. Articles on the death of Osama bin Laden: Lawrence F. Kaplan asks if we'll overestimate the importance of bin Laden's death; Heather Hurlburt on the reasons the U.S. was able to kill bin Laden; James Downie on the legal justifications; Leon Wieseltier on the celebration in Lafayette Park; Jonathan Kay on the emergence of conspiracy theories; Paul Berman on the symbolism of bin Laden's death in the history of American democracy; Sean Wilentz asks if bin Laden's demise will loosen the grip paranoid politics has on America; David Greenberg on the only satisfying resolution possible to the story of 9/11; Louis Klarevas asks if the loss of bin Laden will hasten Al Qaeda's demise; Jonathan Chait on what bin Laden's death means; a photo essay on how America responded to the news of bin Laden's death. TNR Classics on bin Laden and Al Qaeda: Peter Bergen on the Bush administration's failed attempt to capture bin Laden at Tora Bora, on the troubling merger of the Taliban and Al Qaeda, on Al Qaeda's revolt against bin Laden (co-authored with Paul Cruickshank), how bin Laden beat George W. Bush, and on bin Laden's activities before 9/11; Nicholas Schmidle on what the murder of a bin Laden confidant says about Pakistan; Michael Crowley on Robert Gates; David Cole on Obama's war on terror.